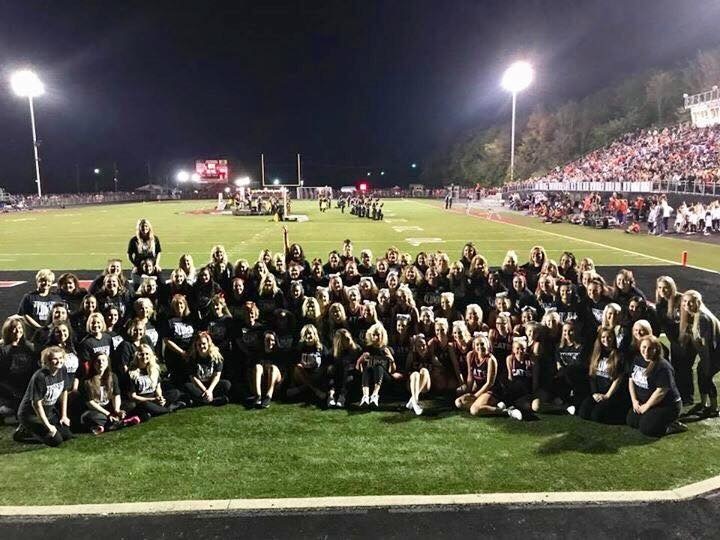 Friday, October 6th, the current FHS Football cheerleaders along with 88 alumni cheerleaders spanning 6 decades: 60, 70, 80, 90, 2000, up to the recent class of 2017, cheered the Cats on to another homecoming WIN over the Bellbrook Eagles!!! Thank you ladies for joining us! For more information phone Phyllis Thomas Clark (513-423-6234), Joyce Stewart Libecap (937-266-3002) or Harriet Fealy Foley (513-423-7077).